Having learnt the basics of analog and digital multimeters, you are now ready to make measurements. 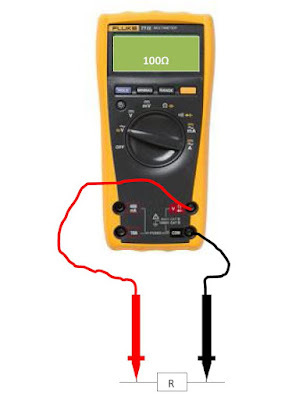 Resistance, voltage and current are the common measurements taken with the multimeter. 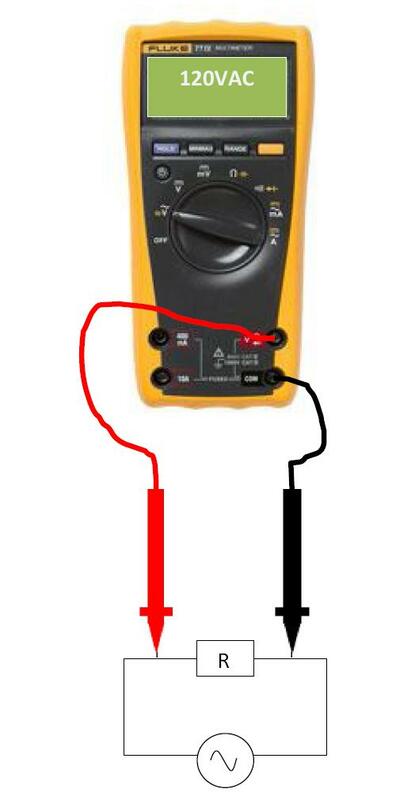 Let us take a look at these common measurements using a digital multimeter. 4) Connect the test leads tips across the component or part of the circuit for which you intend to determine the resistance. 5) View the reading and be sure to note the unit of measurement: Ω or KΩ or MΩ depending on what you are measuring. Before making voltage measurements, take all necessary precautions as any carelessness on your part could lead to injury or fatality depending on the value of the voltage you are measuring. Note for voltage measurements, there must be power in the circuit or component whose voltage is to be determined. 5) View the reading and be sure to note the unit of measurement. 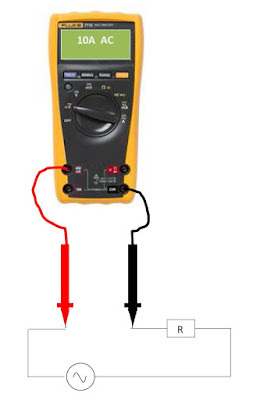 When taking DC voltage readings of the correct polarity (+ or -), touch the red test lead to the positive side of the circuit, and the black test lead to the negative side of the circuit ground. If you reverse the connections, a DMM with auto-polarity will merely display a minus sign indicating negative polarity. With an analog meter, you need to ensure the right polarity. Any mistake could lead to the damage of the meter. 1) Turn off power to the circuit under test. 2) Disconnect, cut or unsolder the circuit and connect the meter in the circuit as shown above. 5) Connect the test leads tips to the circuit in series so that all current flows through the meter. 7) View the reading and be sure to note the unit of measurement. Note if test leads are reversed, a negative sign will be displayed on the meter LCD. 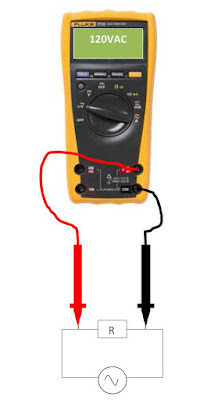 I hope you have found these posts on multimeters useful.